Algeria, Libya and Tunisia have kicked off an ambitious water project called GEO-AQUIFER that will use satellite imagery to support the monitoring and sustainable management of their common, transboundary groundwater resources. The groundwater resource, which was built up around 10 000 years ago, is known as the North-Western Sahara Aquifer System (SASS, after its French acronym). The SASS covers an area of over one million square kilometres and is the key water resource in the region. Although it has negligible recharge, it has experienced heavy exploitation, â€™ground water miningâ€™, in the past thirty years. Ensuring the sustainability of this valuable, non-renewable resource is vital for the lives of millions who depend on it for drinking water and irrigation. Recognising the overexploitation of this shared resource, these three countries initiated together with the Sahara and Sahel Observatory (OSS) a consultation mechanism at ministerial level. This consultation depends on objective, timely, area-wide and consistent information. Although the ground water resources are hidden up to more than a kilometre below the surface, the soon-to-be completed ESA project Aquifer has demonstrated that observations from space of the surface of the Earth can provide useful information. "The ESA Aquifer project has demonstrated to us and the countries several tools that space technology can provide. We are starting the GEO-AQUIFER project because we think this technology can help us to get information quickly on issues that have an exponential evolution," the OSS Executive Secretary Youba Sokona said during the launch event on Thursday. 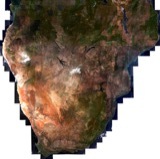 The Aquifer project was developed under ESA's Data User Element (DUE) programme and takes place as part of the TIGER Initiative, aimed at applying EO data to develop a technical, human and institutional capacity to bridge Africa's water information gap using satellite data. 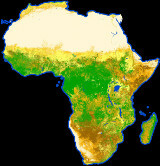 Since Aquiferâ€™s initiation in 2004, more than 200 African organisations have become involved in different TIGER projects around the continent. GEO-AQUIFER provides continuity with the ESA Aquifer project. Its principal aim is to provide information to decision makers and thus to strengthen the integrated water management practice. GEO-AQUIFER will use products and services based on satellite data, such as land-use and land-cover maps, change maps, surface water extent and dynamics, digital terrain models, and derive information on water consumption for irrigation. Capitalising on the encouraging results of the Aquifer project, GEO-AQUIFER will be an extension and expansion towards increased geographic coverage and user specific fine-tuning of products and services. The GEO-AQUIFER project is co-funded by OSS and the African Water Facility (AWF), which is managed by the African Development Bank (AfDB). OSS, is the executive agency for GEO-AQUIFER, key partners are the national water ministries. ESA is involved as member of the steering committee. Speaking at the launch event, Yvan Kedaj of the AWF commended the efforts of the African agencies involved. "I really appreciate the appropriation by the countries of the tools and methodologies demonstrated by the ESA TIGER Aquifer project. Countries asked us through the OSS initially as coordinating and executing agency, and now as secretariat of the consultation mechanism, for continuation of national capacity building on the tools and methodologies developed through Aquifer. "GEO-AQUIFER is co-funded by the AWF as the next step in EO data utilisation in SASS water resources knowledge improvement, in order to quickly give to the consultation mechanism relevant information at SASS level for decision making." GEO-AQUIFER has a lifetime of 18 months, with final results being planned for late 2008.